October 27, 2007 -- Renaissance Retirement Village (11279 Taylor Draper Lane) -- 3pm -- The Blazing Bows will bring their Halloween show to the residents of the Renaissance. November 3, 2007 -- Gullett Elementary School Fall Carnival (96310 Treadwell Blvd.) -- 2pm (1/2 hour show) -- The Blazing Bows will bring their Halloween show to the school's Fall Carnival. December 21, 2007 -- Armadillo Christmas Bazaar (at Austin Convention Center) -- 6:30pm. to 7pm. -- Mary and the Blazing Bows will take their Christmas show to the Armadillo Christmas Bazaar. The Armadillo Christmas Bazaar will be held in the Austin Convention Center which is located at 500 East Cesar Chavez St. (downtown). The Bazaar will be in Exhibit Hall 2. June 28, 2008 -- Threadgills (north) -- 8pm. -- Mary and the 'Bows will front the famous Greezy Wheels in this historic Austin restaurant. Come and see two great shows. July 16, 2008 -- Broken Spoke (S. Lamar Blvd., several blocks north of Ben White) -- 8pm to 9pm -- Mary and her Blazing Bows will do a very special show, complete with special features. October 4, 2008 -- Pioneer Farms -- 1pm. 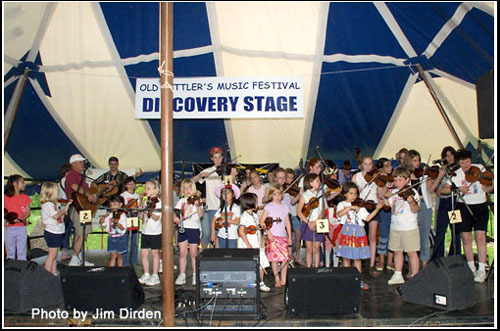 -- Mary and the 'Bows will gather at Pioneer Farms for a special fall appearance. At Pioneer Farms, time stopped around the turn of the 20th century. 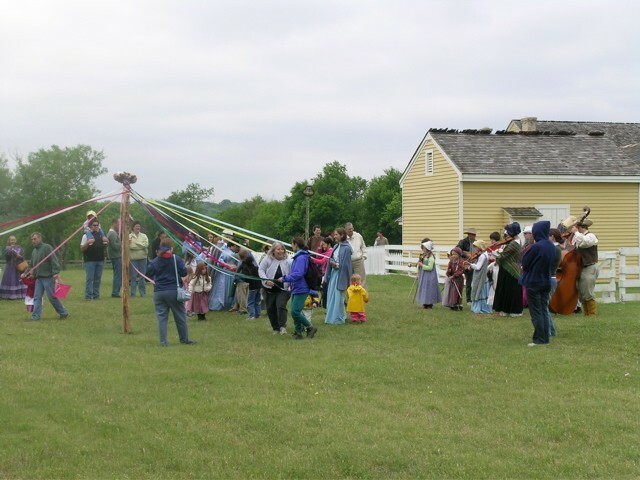 It is a wonderful place for family outings and an opportunity to see what life was like in the Victorian age (animals, crafts, wagon rides, and more). December 22, 2008 -- Armadillo Christmas Bazaar (at Austin Convention Center) -- 6:30pm. to 7pm. -- Mary and the Blazing Bows will take their Christmas show to the Armadillo Christmas Bazaar. The Armadillo Christmas Bazaar will be held in the Austin Convention Center which is located at 500 East Cesar Chavez St. (downtown). 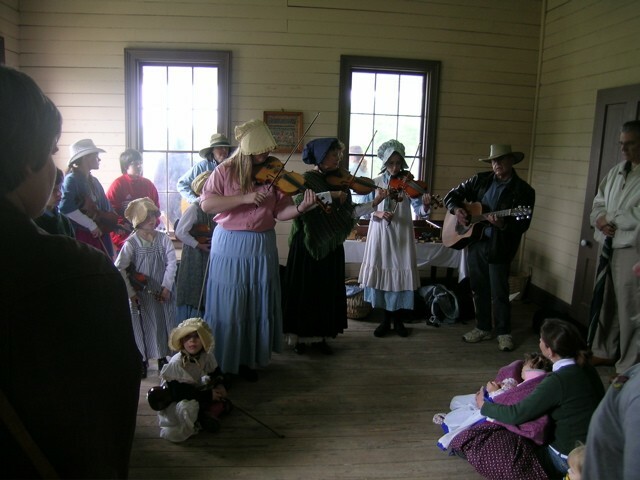 The 'Bows play music for the Farms' May Day Celebration. The 'Bows provide music for the Farms' May Pole dancers.